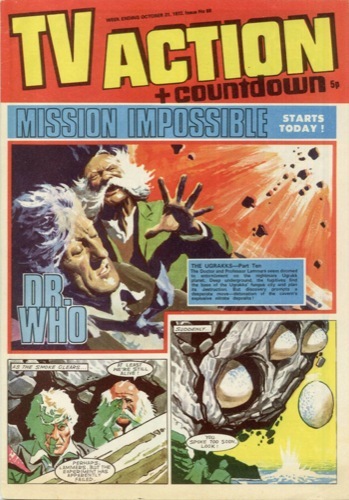 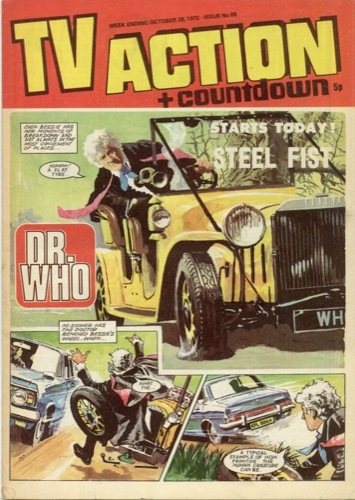 Exactly forty years ago this month, TV Action + Countdown comic had The Doctor concluding The Ugrakks, defeating the aliens designed by reader Ian Farrington, before starting a new adventure, Steel Fist. I had the extreme pleasure of seeing the original artwork for the cover of issue 89 at a recent exhibition of Doctor Who comic art at the Cartoon Museum in London. 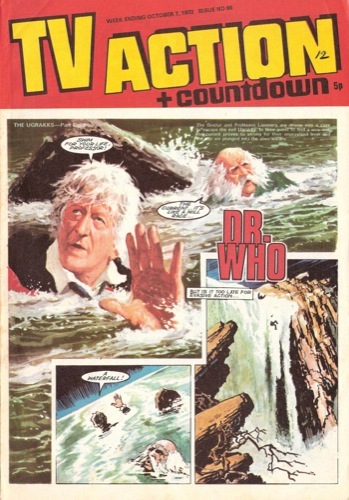 As you can see, it was missing the overlays for the Doctor Who title and adventure name. 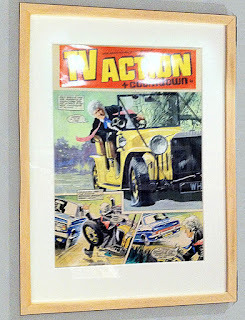 It was wonderful to see it in such perfect condition. 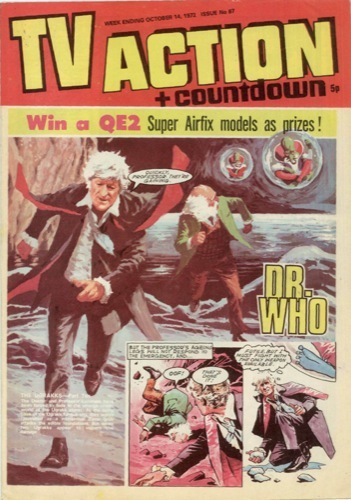 You can read all about it in a posting I did over on my Fourth Doctor Costume Blog.